There are lots of new dogs at Orphans of the Storm® ready to meet their new families! 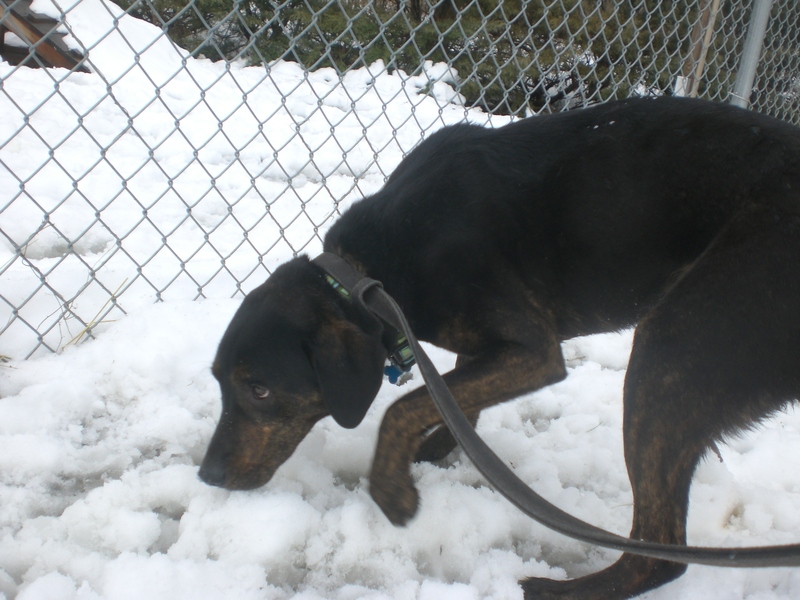 Onyx the one-year-old Rottweiler/Mountain Cur mix is a shy little guy who just wants to love and be loved. It took a little bit of persuading to get him to come out and walk with me, and he’s on the skittish side, but that’s because Onyx is pretty new to the shelter and I can only imagine what an overwhelming situation that must be for a little puppy like him. 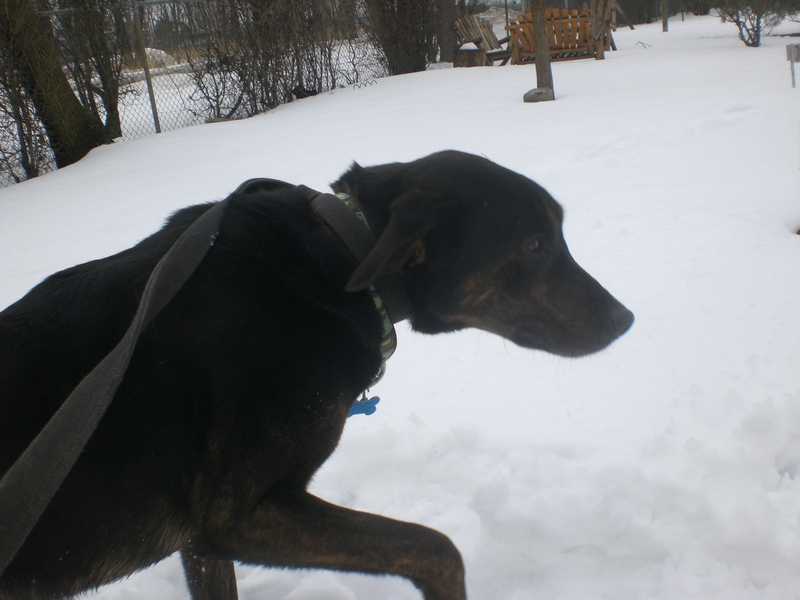 But Onyx did eventually start walking with me, and he even ran around the off-leash run for a bit. Onyx, shy as he was, warmed up pretty quickly. He hopped up onto the bench and didn’t mind when I sat down next to him and pet the top of his head. Towards the end of our walk, I knelt down next to Onyx and he tucked his head under my arms, resting his chin on my legs, and it became quite clear that all Onyx needs is someone (or multiple someones) who will treat him kindly. He’ll be forever grateful if you give him the opportunity. Come in soon to meet Onyx and help bring him out of his shell! 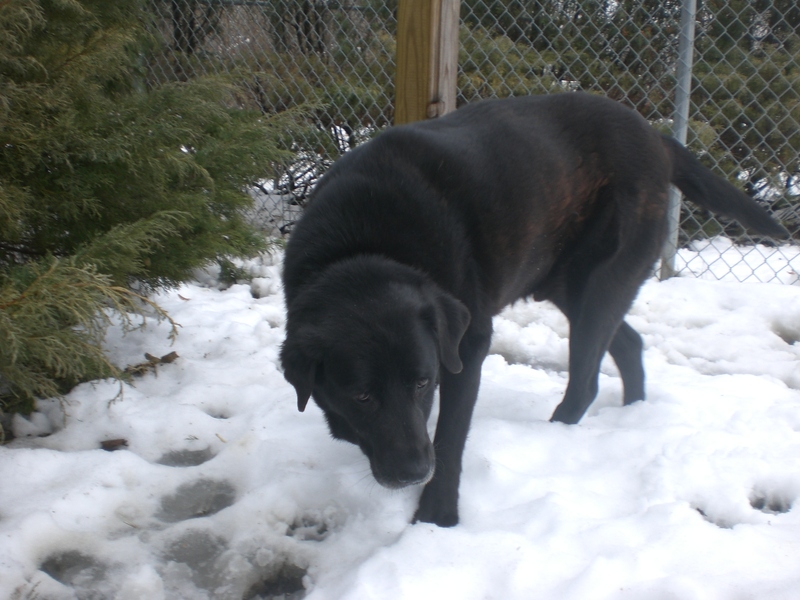 Bufford the eight-year-old black Labrador Retriever mix is just another confirmation of what I’ve been saying all along: older black Labs at Orphans of the Storm® are the best. Bufford looks rather forlorn when he’s inside his kennel, but once you get him out on a leash, he perks up and his tail starts wagging. He stayed right by my side and enjoyed getting a nice pat on the back and a good scratch under the chin. Bufford is also a great example of a gentle giant (giant enough that he may need to go on a diet). He never pulled on the leash, he greeted an overenthusiastic puppy with just a pleasant tail wag, and he caused everyone who saw him (and there were a lot of people at the shelter!) to say what a sweetie he is. 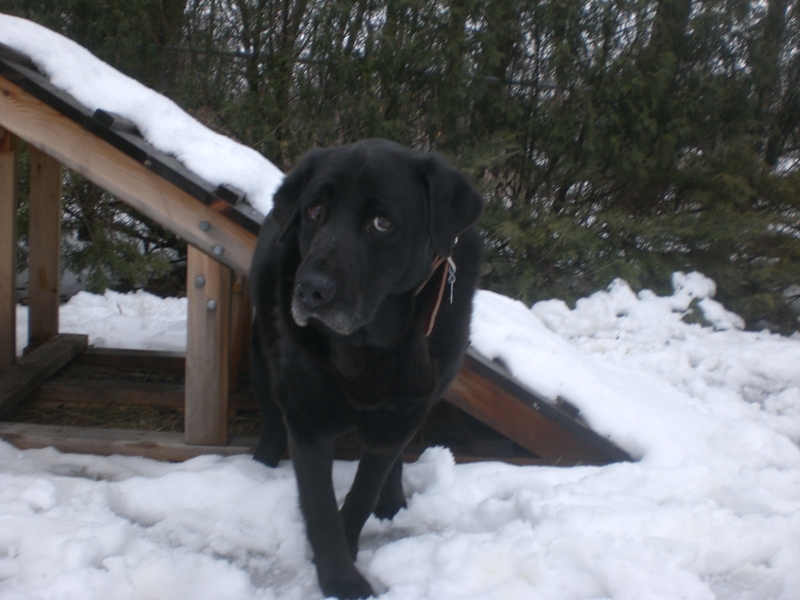 Don’t let prejudices against black dogs or older dogs prevent you from getting to know this really great pooch. Bufford is ready for a new furever home. 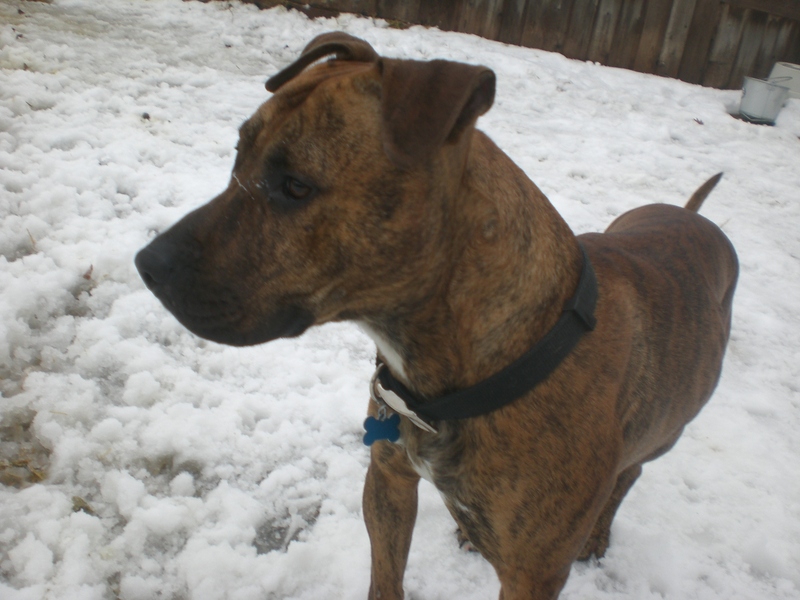 Smokey the two-year-old Pit Bull Terrier mix ended up at Orphans of the Storm® due to very sad circumstances: his owner passed away and no other family members were able to take care of him. What that means for his future owners, though, is that Smokey already has two years of experience as a family pet, is housebroken, and knows some basic commands (and can certainly learn more). Smokey is pretty strong, but most likely has better leash manners than I experienced since he was just so excited at the opportunity to go for a walk (as is the case with many of the dogs at the shelter). When he’s settled in a new home with daily exercise and playtime, Smokey will be a loyal companion. And, of course, I can’t talk about Smokey without mentioning that absolutely adorable face of his (even when it has some slobber on it). Visit the shelter soon and give Smokey the second chance he deserves. I also spent time with my buddies Wilbur, Rosco, Keini, and Shamrock (who is extra-special to me because she was the very first dog I walked at Orphans of the Storm®!). 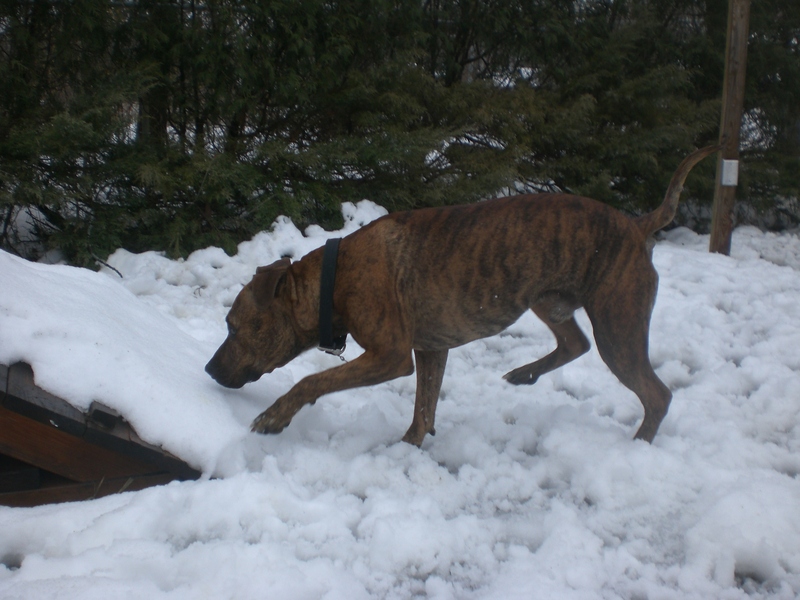 Posted by Meet the Pooches on January 16, 2014 in Dog Profiles and tagged adopt, adoption, animal shelter, animals, Chicago, dogs, Labrador Retriever, Mountain Cur, Orphans of the Storm, pets, Pit Bull Terrier, Rottweiler.